The module AV-2308 Introduction to Geomatics with 46 students was taught by Dr. Shafi Noor Islam. 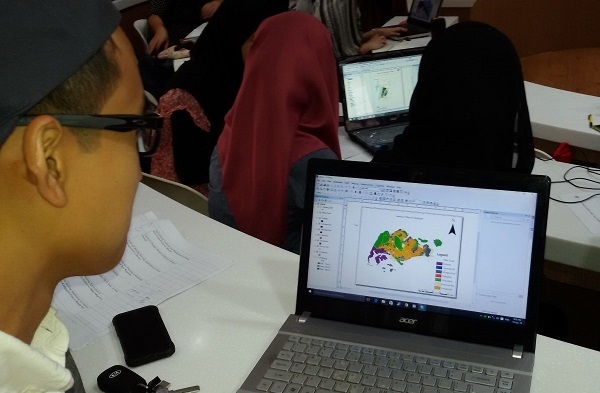 In total, the module included 15 lectures, one field trip in the Kota Batu and Bandar area to investigate urban land cover and land use changes using Remote Sensing (RS) imagery, and applied practices in the GIS Lab using ArcGIS 10.3. 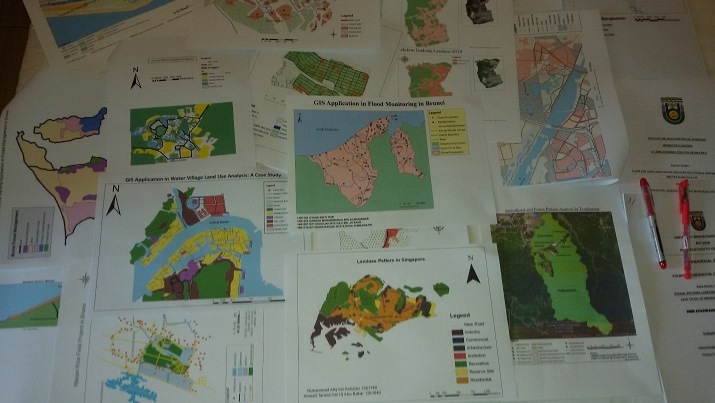 The Environmental Studies and Geography students successfully completed 16 GIS group projects. Dr. Shafi Noor Islam with a small group of students after successfully demonstrating their GIS projects. The outputs of the 16 GIS group projects. 19th and 20th April 2016 were the dates for the students to demonstrate their group projects in the GIS Lab. All the students are successfully prepared their project outputs through using ArcGIS 10.3 software. Now students are familiar with Remote Sensing (RS) and Geographical Information System (GIS) and their application in different geographical and environmental issues. At the end of the day all students are able to operate ArcGIS 10.3 and prepare their own project map using the software. This involves simulating, modelling, monitoring, managing, and planning activities. 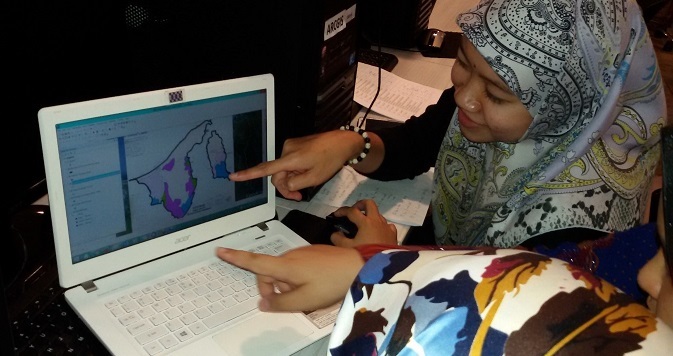 Students working on a GIS project on Wasan rice fields in Brunei. Students working on a GIS project on land use in Kampong Ayer. 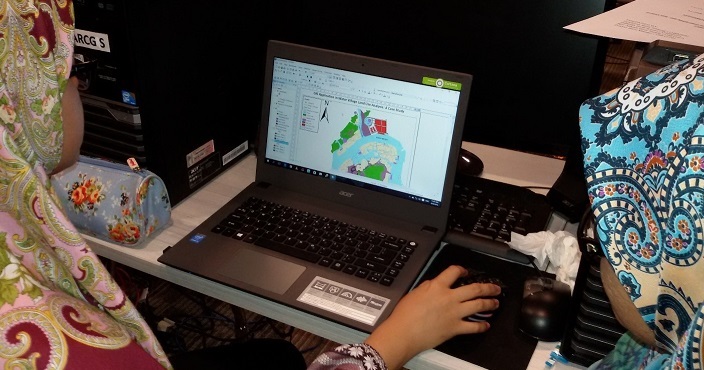 Students working on a GIS project on forest management in Brunei. Students working on a GIS project on landuse patterns in Singapore using ArcGIS 10.3.